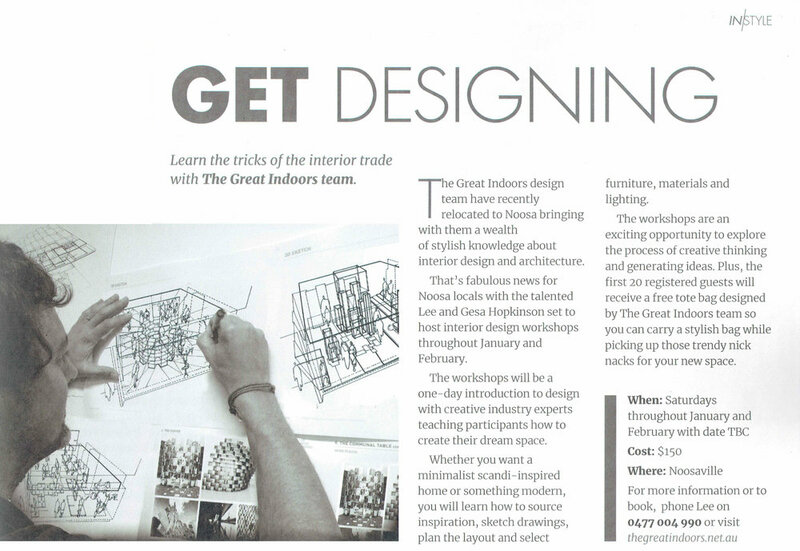 The Great Indoors - A new design studio on the Sunshine Coast is hosting 1 day interior design workshops in January and February 2019. First 20 registrations will receive a free tote bag designed and made in Australia. Featured in INNOOSA magazine summer edition.